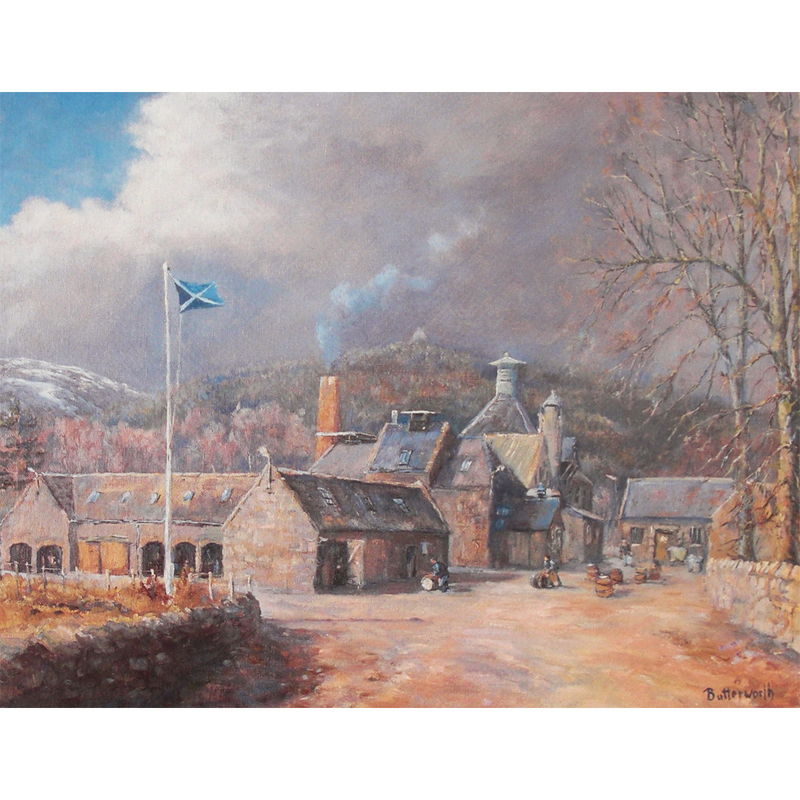 Royal Lochnagar Distillery at Crathie near Ballater on Royal Deeside. This print was commissioned by John Begg in the 1980’s. Although it’s unsigned and classed as an unlimited edition it is limited in number to the production run that was made at the time. Size including white border 21 cm x 26 cm.